We've been hearing a ton of rumors regarding Verizon's LTE Android phones, but finally one has actually been announced. 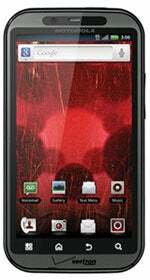 The Motorola Droid Bionic sports a 4.3-inch qHD display and a dual-core processor. Other goodies include a front-facing video camera and video conferencing capabilities, HD video capture and a slew of business features that will make it ideal for enterprise customers. The Droid Bionic is ready for business with data security, encryption and loaded with Quick Office for document editing. The Droid Bionic is due in the second quarter, but pricing has not yet been announced. We're going to head to the hands-on area after the Motorola press conference is over so stay tuned for a full hands-on report! Editor's note: This post originally included images of a different handset. That has been corrected.